What is the Net Brand Effect? In a world of competing messages and shortened attention spans, it’s harder than ever for brands to stand out and win a position in the mind’s of their customers. Yet, brands who are able to do this can own their category and charge a premium for their products/services. That's why States of Matter developed the Net Brand Effect score. To calculate the NBE, we collect information that is widely accessible and run the data through a filter of 19 criteria. The resulting score is a quantifiable metric which takes the broad concept of brand into a number which can be tracked and improved upon over time. When everyone offers the same benefits, how can an online retailer compete? How well does each business understand their audience and engage them? Is there one market differentiator that can set a retailer apart from the crowd? 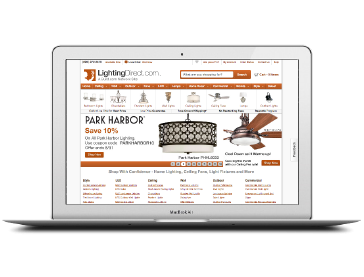 The online lighting market is in the midst of a massive paradigm shift. As the industry moves to lower cost and more efficient LEDs, the market is set to explode to $63.1 billion by 2020 (Radiant Insights, Inc., 2015). This shift to lower cost and more efficient lighting fixtures is great news for consumers. The bad news is the market is crowded with players who are not offering one compelling lighting brand to attract consumers. 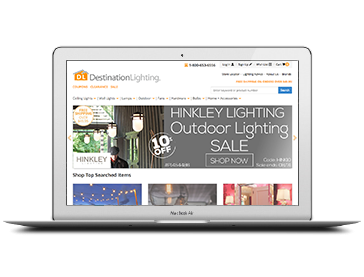 With over 100 years of experience, Destination Lighting strives to be the one–stop shop for indoor and outdoor lighting. With a big brick and mortar advantage, they offer excellent customer service, a huge selection of lighting and furniture, and expert design advice. They are, however, in grave danger of losing their legacy due to complacency. They need to identify and engage their core audience more effectively with a focused lifestyle brand. Lumens nails relaxed modern lighting. Their engaging website features gorgeous photography and deep product offerings. They have a well-curated selection of modern brands, price matching and excellent customer service. 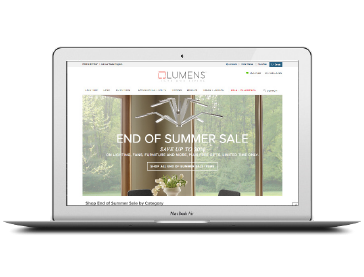 Lumens distinguishes itself with a clear target audience, consistent design aesthetic and messaging across channels. They dominate, for now, in organic search. Lumens has all the basics, now they need to take it to the next level. 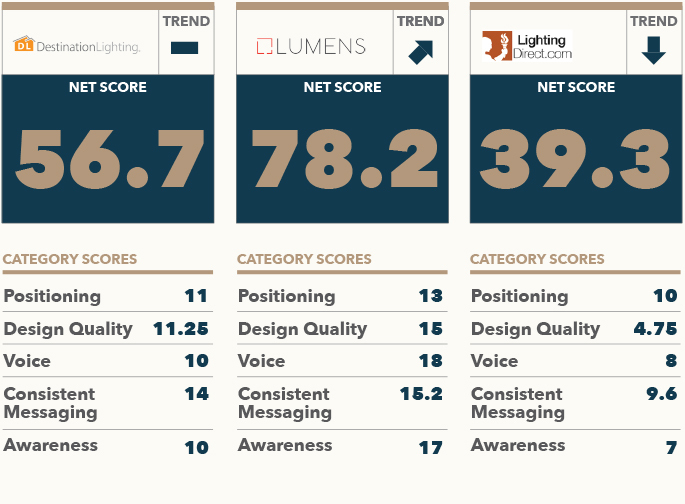 Part of the Build.com network, Lighting Direct is the weakest of the three online consumer brands we analyzed. Their biggest problem? Their site points to the umbrella brand Build.com and there is no investment in Lighting Direct as a stand-alone brand. This makes the overall shopping experience very confusing, uninspiring and ultimately, easily abandoned. Big selection, distribution and a long heritage. Largest network of brick and mortar stores: they operate 13 showrooms in the Northwest and Texas. Excellent customer service, price matching and free shipping on orders over $49. Skating by on a few mentions of their 100+ years of experience is not a brand strategy; they need to communicate what they’ve learned over the years. Undefined brand keeps them stuck in the price comparison game. Site feels outdated with 90s style fonts and graphics. Home Page is too product focused and overwhelming with 99 links to choose from. Create a focused definition of 1-2 desired target audiences. Develop a content strategy that highlights category expertise and vision. Redesign website to engage the target audience and simplify the browsing and shopping experience by needs and wants. Optimize for SEO on all pages. Want our full recommendations on how Destination Lighting could improve? Email us for the full report. Ownable design aesthetic, passion for the products, well-curated selection. Focused categories and quality photography highlight individual modern brands. Consistently demonstrates quality copy, photography and design across all channels. Strongest social media effort: 4,271 followers on Instagram. Skyrocketing organic search growth: up 92% YOY. The About Us section has a personal message from the CEO along with a warm photo of the smiling expert employees. Organic search growth mostly likely not sustainable due to perhaps a one-time optimization. Even though they have the strongest dialogue with customers, they need to make it more engaging with niche content. Now apart of high-end lighting company Y Lighting Group, they will need to continue to strengthen the Lumens brand. Create a modern environmental message to further engage and inform a sophisticated audience. Develop a content strategy that deepens audience engagement, e.g. editorial packages that focus on Art Deco lighting design or how LEDs reduce climate change. Work to sustain organic search with more frequent publishing and optimized pages; consider branded search campaigns. Want our full recommendations on how Lumens could improve? Email us for the full report. Large selection of products with clear photography. There is no investment in the Lighting Direct brand as it is part of the Build.com network. No clue as to who their target audience is based on website design and messaging. A dated website with uninspired language with a generic big box retail feel. Too many photos, links (114!) and competing brand messages that are overwhelming and confusing for the customer. Relentless pursuit of customers with branded media campaigns. Invest in LightingDirect.com or fold into Build.com. Define your audience: know who they are, what they need and what interests them. Create a modern, clean, uncluttered website with updated design and copy. Invest in quality backlinks: 220 referring domains for 70k links is suspicious. Use environmental narrative as a competitive advantage. Want our full recommendations on how Lighting Direct could improve? Email us for the full report. The full 14-page report includes a breakdown of our entire scoring process and actionable insights for improvement from our design and brand teams.